↑ Sarajevo Official Web Site. 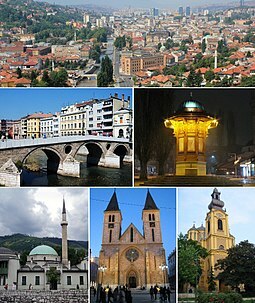 About Sarajevo. Retrieved on 4 March 2007. ↑ "First release" (PDF). Federal Office of Statistics, Federation of Bosnia and Herzegovina. 2009-09-09. Retrieved 2009-11-02. Àtunṣe ojúewé yi gbẹ̀yìn wáyé ni ọjọ́ 20 Oṣù Kẹta 2017, ni ago 21:09.